A raccoon is a clever animal, known for making mischief and looking cute. This design is also available in the 4"x4" size. 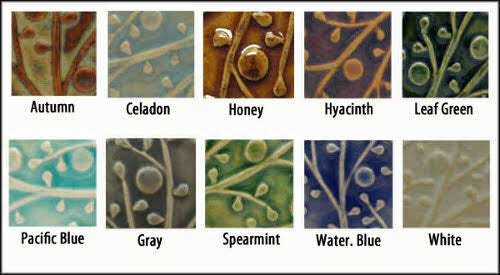 All of the glazes we use for handmade tile are non-toxic and lead free. Each tile has slot on back for easy wall hanging with a nail or hook. The raccoon handmade tile is suitable for permanent installation in many settings. Arts and Crafts inspired relief design is rendered in high-fire ceramics for strength. Emu Handmade Tiles look great framed and displayed.